Quite by luck, the kids and I got to meet Kurt Cyrus at the Oregon State Fair. Hotel Deep and The Voyage of Turtle Rex are two of his amazingly gorgeous books that my kids never tire of poring over, and I never tire of learning from; so much so that they are top favorite books for giving away as birthday presents for kids we know. Affable and unpretentious, Mr.Cyrus seemed oblivious to the fact that his books have brought a lot of joy not just to the kids but to the parents and teachers and caregivers who read his books to the kids. Unable to carry on a longer conversation in person then, I followed up via email, an interview of sorts. ST: Hotel Deep is a huge favorite at home. You shared the story of Hotel Deep - started way back in 1986, it morphed along the way to its magnificent form today. How did you choose what animals to showcase (like angulate wentletrap, angler as opposed to viperfish or comb jelly)? And, what aspect to highlight about some of the popular creatures - ex., octopus - ink/camouflage/mom dying after eggs hatch? The bright side of taking eighteen years to complete a book is that it gives you time to amass a ton of reference material. I had so many ocean books and fish books that I had to improvise my own indexing system to keep track of them. Whenever something in one of those books grabbed me, like the mother octopus refusing all food while guarding her eggs and eventually starving to death, I’d jot down some random lines about it. If I was able to form it into a decent poem, it made the cut. I had enough material that we were able to cull a bunch and still wind up with a forty page book. ST: The Voyage of Turtle Rex is another huge favorite. There are many stories about turtles laying their eggs in the same beach they were born in. What made you choose to tell it from the pre-historic perspective. Is it primarily to tie it with Tadpole Rex? And, what research went into making the Turtle Rex book? While researching Hotel Deep I came across an old picture of a bearded guy standing next to the giant fossil of an archelon, the largest turtle that ever lived. That image was riveting. Years later, after the success of Tadpole Rex, it occurred to me that I had been given a golden opportunity to sneak in a book about that prehistoric sea turtle, which lived in the same time period that Tadpole Rex was set in. I enlisted the help of a noted Paleontologist who is considered the leading authority on archelon. 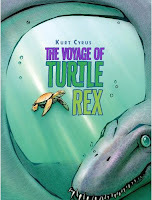 The Voyage of Turtle Rex is the book I’m most proud of, even though Tadpole Rex has outsold it handily. 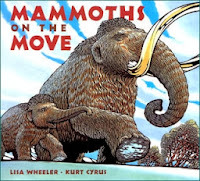 ST: Most of your books have lyrical/rhyming text that makes it a fantastic read aloud. 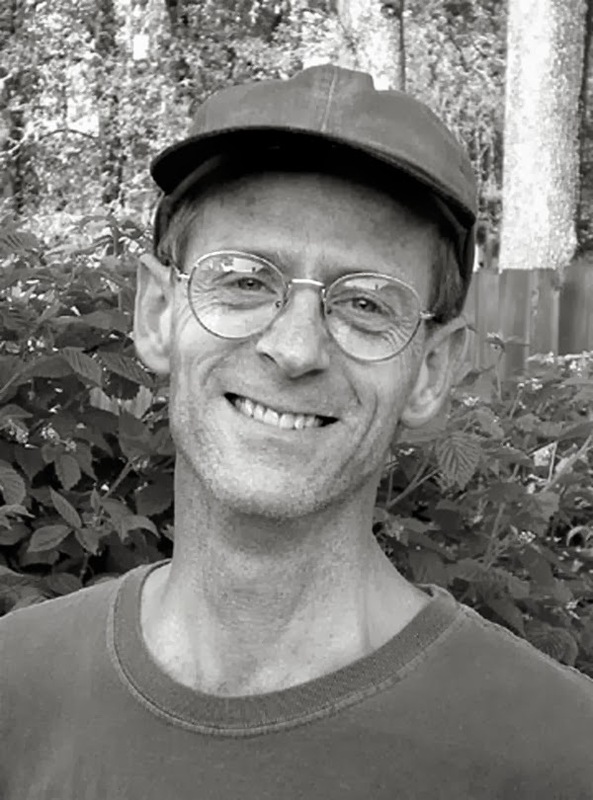 Have you considered writing a book in straight prose? My first two books, Tangle Town and Slow Train to Oxmox, didn’t rhyme. They also didn’t sell. I’ve written a few prose stories since then, but nobody would publish them. 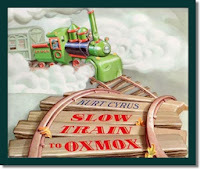 Which is OK—writing in meter and rhyme is fun challenge, and kids like reading it. But now I’m attempting a middle grade novel. Non-rhyming for sure! ST: The books you have written and illustrated so far seem to be leaning towards non-fiction. Are there any bizarre fiction stories waiting to come out of you? 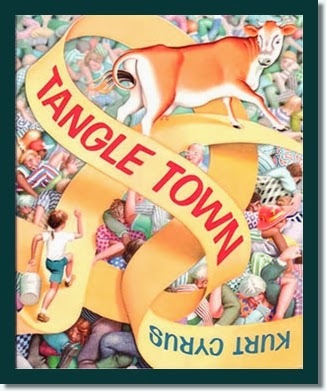 The middle grade I mentioned has a bizarre side. 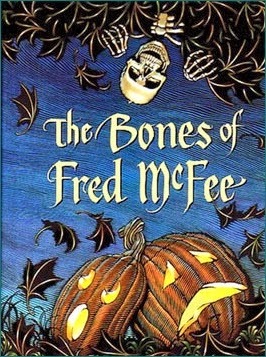 Your Skeleton is Showing: Rhymes of Blunder from Six Feet Under, just released, doesn’t skimp on bizarre. And I’m the illustrator of M.T. Anderson’s Whales on Stilts and its sequels. So, yeah, I love bizarre! ST: What about The Bones of Fred McFee and Mammoths on the Move manuscripts led you to illustrate for them? Do you have a certain criteria/check-list to help you decide which illustration projects to take on - say, a particular writer, a particular subject? My criteria tend to shift, depending upon circumstances. But those two books were exciting opportunities, and I would have pounced on them under any circumstance. If the subject matter is interesting to me, and especially if it gives me a chance to indulge in a little world-building, I’m in! I love creating little alternate realities for characters, and the reader, to wander around in. ST: What is your process for making a book? Do you jot down a running list of ideas somewhere handy? Do you think in pictures? Do you play with illustrations first before writing the text for the book? How long does it take from a concept to a book dummy to the finished manuscript and illustrations for submission? I do think in pictures, but I don’t begin actually drawing those pictures until I’ve got the writing pretty far along. My office is littered with little notebooks, and they spill out into the living room and the bedroom and the car. Most of the scribbles inside them stay inside and never get out. For those that do reach the point of submission, the entire process can take anywhere from a few weeks (Big Rig Bugs) to nearly two decades (Hotel Deep). ST: Do you prefer to commit to one ms/book at a time till completion or do you handle multiple projects in parallel? Parallel is a good word for it. I have multiple projects in different stages of development, but I can only really focus on one at a time. When I run out of steam on that one I set it aside and pick up another. I’m not a good multitasker. ST: You have a varied background until you hit upon children's books. Are you fairly disciplined in terms of keeping a routine now - everyday, 8 hours a day or so - for writing and illustrating? How do you split the time between the two - writing vs. illustrating? No discipline, no routine, except when there’s a deadline looming. If the deadline is tight, then I count the weeks remaining, divide it by the number of illustrations to be done, and just hack away at the required pace. Usually there’s no need to divide the time—if I have an illustration job, I just do that. When there’s no illustration job, I write. ST: Do you have a literary agent or do you handle all the submissions? And, how involved are you in your book promotions - like, book launch, school visits, blog tours? Right now I’m between agents. It’s a tricky thing—even a good agent, one who achieves great things for other clients, can be less than productive for you if you’re not on the same wavelength. So, for now I’m submitting my own stuff to editors I’ve worked with in the past. 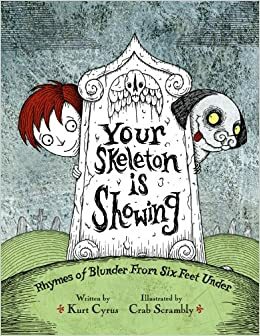 Concerning publicity and promotion, my new book Your Skeleton is Showing contains a rhyme that begins: Once upon a podium / a public speaker died / from sweating so much sodium / he shriveled up inside. That’s autobiographical. When faced with an audience I experience the “Fight-or-Flight” response—with a strong bias toward flight. But I do what public appearances I can, without traumatizing myself too much. ST: Any advice for aspiring children's book writers - not just about telling a story, but about handling the business end of things? Don’t take rejection (or indifference) personally. Don’t hold grudges. Don’t fixate on the Amazon sales rank. These are the things I struggle with. I haven't seen a more candid set of answers. So unassuming and down-to-earth. 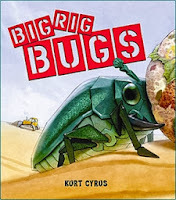 From illustrating pictures to writing in rhyme, prose, middle grade novel..I am in complete awe reading about Kurt's endless talents! Take a bow! Thank you Kurt and Sheela for this terrific interview. Sheela and Kurt thanks for this wonderful interview. Like Praba pointed out, Kurt's honesty shines through the interview. I am amazed when he says that he took nearly two decades for that one book. Wow...what an amount of research would have gone into it. Very inspiring. 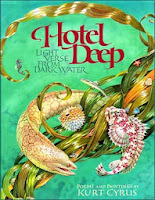 After Sheela's review, we picked up Hotel Deep and we were floored :) My kids (and I!) can't get enough of the illustrations. The first time they read it, the kids let out a 'wow' at the silver rush of sardines. Thank you for this amazing book, and thank you for sharing a wonderful interview with Saffron Tree, we are eager to check out more of your titles. Thanks, Sheela, for discovering a gem and bringing us to the treasure trove! Thank you, Sheela and commentators. 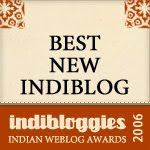 I'm enjoying getting acquainted with this blog and its older posts. Very thoughtful and dedicated people here! I'm glad to be a part of it. Now how do I get hold of the books in India?